If you’ve noticed, recently all kinds of waist trainers and corsets have been put back on the map. They’re no longer something we see in historical movies, but rather, in everyday life on Instagram and Facebook. So, how do you choose the best corset for you and your body? Keep reading and we’ll show you all the best on the market today! Now that you’ve had the chance to take a quick look at each of the best corsets currently available today, why don’t you scroll down a bit further to read more in-depth about each one? Waist training is a hot topic nowadays, and with so many different corset types and styles out there, it can be overwhelming trying to pick just one! The Yianna Women’s Underbust Trainer is one of the best, for a variety of reasons. Probably the biggest of those reasons is the comfort. Waist training is definitely not synonymous with comfort; in fact, at times, we’d be willing to say they’re antonyms. Somehow, Yianna has created one that is actually effective and comfortable, all at the same time. If you lead a busy lifestyle and plan on getting an everyday corset for under clothes, don’t skip past this one. The secret to the flexibility and comfort, is the high-quality, natural latex rubber and cotton lining of the waist cincher. The rubber holds everything in while remaining flexible, and the Spandex/cotton lining makes everything breathable and more stretchy. The corset is three layers, and each plays a different role in functionality. Depending on your preferences, you may want a color other than black. With most corsets, you don’t have a choice. However, with the Yianna, you can choose from just about any color out there: gray, pink, blue, purple, and even red. The choice is yours! Let me tell you how it works! Well, unlike the more traditional steel boned corsets, this one features a compression mechanism that makes you feel comfortable and gives you enough room to move around in, while simultaneously smoothing and drawing everything in. There are 9 spiral bones inside which bend easily, yet quickly recover to its original position. The downward spiral design is to counter the rolling and folding effect, so you will also find you have better posture! Not to worry! The Yianna corset is actually one of the most cost-effective products out there while still retaining a high level of quality. When looking into purchasing one of the best waist trainers for weight loss or just to smooth everything out, it’s very important to take your health into consideration. This means only selecting the best of the best. If you’re searching for a corset on a budget, then you’ll have some difficulties finding one at the level of quality you need. However, the Eleady Underbust Trainer is one of the few that we have faith in. The trainer is made of 90% polyester and 10% spandex, which also consists of a sweat-enhancing thermal vest to make you sweat more during your workouts. This will help you to lose some water weight and even motivate you to workout harder. The Spandex gives it just the right amount of stretch, while the polyester helps it remain solid. The U-type design makes sure that your bust isn’t compressed or uncomfortable in any way, but rather pushed upward and enhanced. It features, as most do, three hook-and-eye columns to easily adjust as your body changes, while making sure it’s securely fastened. There’s also a heavy-duty zipper that can be easily closed from the bottom, up, and is easily hidden for a smoother look. 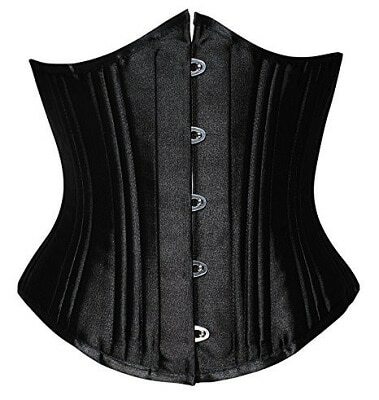 The Eleady is similar in many ways to the previous corset, in that it’s pretty inexpensive and comfortable. It’s also easy to use, so if you’re a beginner, take this one into consideration. The ergonomic design allows you to place more focus on other things, rather taking minutes out of your day to put on and take off the corset. Have you just recently given birth or had surgery? This waist trainer will help to give you support. It will also help improve your posture, if that’s something you struggle with. While it may not be as extreme as the steel boned models, it is overall an inexpensive and comfortable product that will smooth you from all over; even your back! Ana Chery is easily one of the biggest names in the waist trainer/corset world, and for a good reason! They consistently put out products that have features identical to Colombian brands, which are some of the best in the world. The 2021 is an absolute classic that is a favorite among women who are serious about getting that hourglass figure while still retaining some level of comfort. The latex waist training corset works effectively but is still nice and breathable, and even a bit stretchy. The cotton lining of the trainer provides a fresh, comfortable feel that will protect your skin from having any contact with the latex. It’s so comfortable in fact, that you can even wear it to the gym during intense workouts! Excellent! As it features 3 hook-and-eye closures, you can customize it and alter it as your waist gets smaller, without having to buy a whole new corset. They’re ideal for everyday use as you can make them looser or tighter at your leisure, and can even be used to help recover after giving birth! Make sure that you take your waist measurement before making any purchase, and read the sizing guides to make sure you’re purchasing the right one. If not, you aren’t going to see the results that you should have with the proper sizing. How difficult it was to get on. It’s easier than some others, but overall, it will take a bit to get used to. Sure there are plenty of corsets you could wear to the gym, but they’re not actually made for that purpose. 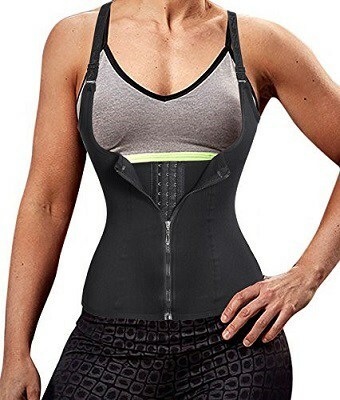 If you’re looking for a waist trainer solely for going to the gym, then check out the Your Weigh Quality Waist Trainer Corset. 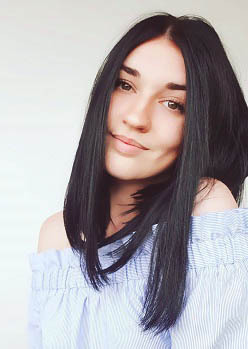 If you’ve been trying to get rid of belly budge for a while, then you know that actually working out and moving around is the best way to do so. This is going to help burn calories; specifically fat stores, to help you get that lean look. So, imagine turning the heat up by wearing this beauty while you’re working out! It helps you improve your efforts, while burning calories more quickly, and releasing water weight to aid in achieving a toned look. 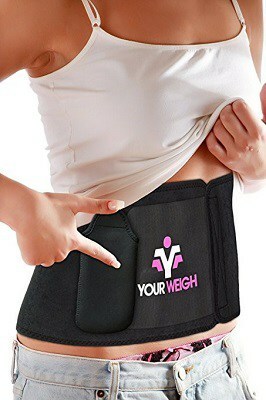 The corset comes in four different sizes to help you get a perfect fit that is going to help you out the most. Made of ultra-comfy neoprene, you won’t ever feel restrained or like it’s too uncomfortable, unlike many other corsets out there. The wide-band Velcro smooths over the stomach and helps shrink your waistline. If you’re worried about being prone to injury, just put this corset on and on you go. It helps to support the midsection, help prevent exercise-related injuries, and even help you recover if you’ve recently undergone surgery or given birth. It works to absorb all sweat, which means you’re going to want to wash it regularly. Unlike most corsets, you can actually just throw this one in the washing machine and you’re all set! No hand-washing necessary. Another nice little feature they’ve added is a pocket to hold your smartphone, keys, or credit cards, so you never have to leave them in the gym locker, unattended. That isn’t as intense as some of the other corsets, such as the steel boned ones. There are plenty of corsets out there, but not all of them are as extreme as you’d like them to be. The Camellia’s Women’s Corset Waist Trainer is one of the strongest, as well as the most fashionable. Each waist cincher is sized by waist measurements, so before you do anything, make sure you properly measure yourself and choose the corset for you based on your waistline. If you have a medium or long torso, don’t worry! They have them available for your lengths, too! Without a doubt, the 26 high-quality steel bones. 20 of them are spiral steel bones, 4 are rigid steel bars which support the back, as well as 2 steel bars adjacent to the front busk. It even comes complete with sturdy ribbon lacing to help pull everything together, tight. If you’re serious about that hourglass shape and don’t care much about comfort, then keep on reading. This garment shapewear is solidly-built for heavy-duty training, waist cinching, and even back support. The fabric comes in 4 layers: 2 inner layers of cotton, a middle laminated layer, and the outer layer for extra strength and durability. We don’t necessarily recommend them for gym use, although the site says you can. It’s just not flexible enough, we feel, for a high-intensity gym workout. However, it is perfect for tummy control, slimming your midsection, as well as providing lumbar support and helping correct posture. This corset is so attractive, that you could even wear it for cosplay like many do! It’s very intense, so we’d recommend that if you’re a beginner, to go with any of the above products first. Then, once you’re comfortable with those, move onto this one if you want something more heavy-duty. So, after reading through all of that, you may still have some questions about which corset is best for you. That’s understandable! A corset is a big decision and does have an effect on your body, so you need to choose a high-quality product that’s ideal for your situation. That’s why we’ve gone ahead and created this buying guide, to lead you along the path of success! It’s absolutely essential that you select the right size for you! If you do not, you will either choose one that’s too loose, where you will not see the results you’re looking for, or you’ll choose one that’s too tight, that can potentially cause health issues for you. Neither of those situations is one that you want to be in. To measure your waistline accurately, make sure you’re not measuring the smallest part of your waist, but rather the widest part; around your navel. Then, match that measurement up to the one that matches the proper size of corset you want to purchase. If they don’t have your size, move onto another product. What will you be using your corset for? The gym? Everyday use? Or perhaps just every once and a while you’re at home? You’re not going to want to use a corset with various steel bones and ribbons on it for the gym for various reasons. One, because it will definitely get in the way of things, and two, because it’s not comfortable, let alone not really safe to be working out in. On the other side of the coin, if you want some serious waist-training action, don’t select one of the ones made for the gym. They are definitely effective and more comfortable, but they’re not as intense as the steel boned products. Do you have issues finding shirts that are long enough? If that’s the case, you may have a long torso. If so, then make sure your new corset accommodates the length of your torso, which sounds a little bit weird, but it’s very important to take into consideration. Many only work or work best with short torsos, and you may find that yours fits oddly, or is just downright uncomfortable and rolls down. That’s not doing anyone any favors, so please make sure to pay attention to this before purchasing anything. Finally, it’s also important to know how much you’re going to spend on your new corset, beforehand. Always make sure to set a budget for yourself before browsing, because it can be tempting to go above the budget when you see something you like. Price isn’t always a prime indicator of quality. In fact, most of the products on this list are very budget-friendly, yet are some of the best corsets the market has to offer. So, which one of these waist cinchers were your favorite? If you’re still having some doubts, we personally loved the Ana Cherry corset. It consistently has amazing ratings from the women who use it, and from us, as well. Its design hails directly from Colombia, which is where the original fajas or waist trainers were created, so you know they know what they’re doing! It’s pretty comfortable, especially given the design and how effective it is. You can wear it during your workouts or while going about your day-to-day tasks. In addition to all of that, it’s pretty cute and very inexpensive. We don’t have really anything negative to say about it! So, which one of the best corsets will be making its way into your home?